Roaming the Earth 200 million years “Giant Thunderclap at Dawn” ago at 49 feet long and weighing 13 tons, this dinosaur was one of the largest of all time. It’s distinct “crouching” walk sets it apart from other similarly sized dinosaurs that have been discovered. 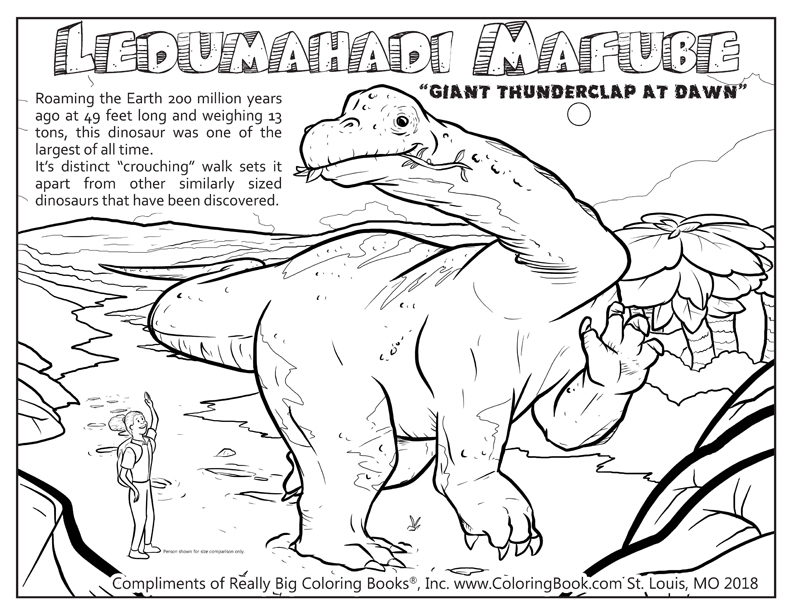 This Free Coloring Book Page is designed to celebrate Ledumahadi Mafube! 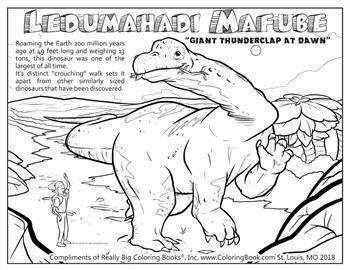 Click here to print off a free PDF of Ledumahadi Mafube coloring page!